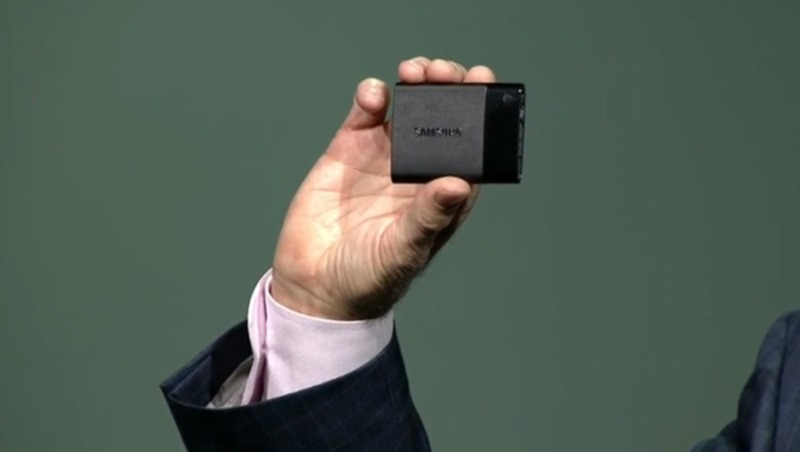 Announced for CES this week in Las Vegas, Samsung has shown off its impressive entry into the SSD portable storage world, with the Samsung T1 SSD. With storage options of 1 terabyte, 500 gigabytes, and 250 gigabytes, the T1 boasts impressive read and write speeds, all while weighing about an ounce and at a size comparable to a business card. The size and sleek design isn't the only thing that this SSD drive is showing off to make for a great travel drive for photographers. With 450MB/sec read and write speed, using USB 3.0, the T1 drives sport fast speeds, making for the perfect drive for photographers who need to backup images while traveling, and don't want to take up a lot of space. This small drive also has security in mind, with AES 256-bit hardware encryption built in, allowing you to password protect your files, to ensure they're private and safe. Also, with 1500G/0.5ms shock resistance and what Samsung calls a Dynamic Thermal Guard, the drive is rugged and can take some abuse. 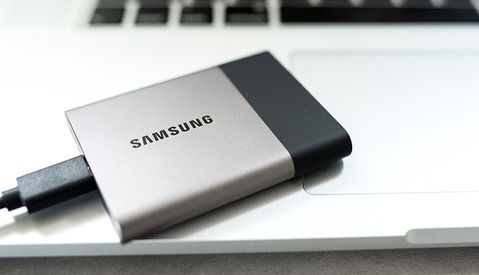 Using an exFAT system, the Samsung T1 is designed to work with both Windows and Mac systems, and comes with a three-year warranty. The Samsung comes at a reasonable starting price of $179.99 for the 250GB model, and will be available later this month worldwide. Zach Sutton is an award-winning and internationally published commercial and headshot photographer based out of Los Angeles, CA. His work highlights environmental portraiture, blending landscapes and scenes with portrait photography. Zach writes for various publications on the topic of photography and retouching. Neat! I wonder what the 1Tb will cost? I'm fairly paranoid, as many of my photographer friends are, and always carry a copy of all undelivered raw wedding/company/event shoots as well as LRcat in my pocket in addition to the server at the studio and the house. This is a nice step down in size from my seagate slim drive. It will also be much more reliable than your traditional spinning Seagate drive. I have had plenty of 2.5" traditional external drives fail on me. Not the most reliable drives. If you don't mind having something a bit bigger you could also put together a 2.5" external drive on your own that I'm sure will be much cheaper. 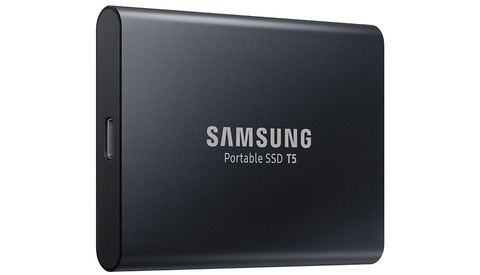 With a $40 FirmTek USB 3 enclosure at $40, you could add a 1TB drive for a total of less than $450. Read and write speeds are up to 440MBps with the FirmTek enclosure. This is really awesome. Decent price, tiny, fast...I could easily see myself switching to a few of these for live-work drives on the road. Looking forward to it! Oh my! It's great! Now to think of ways to not to misplace it. 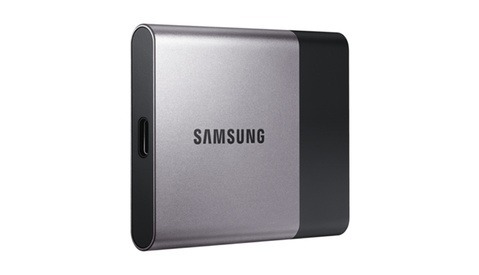 Though it would be bigger than this Samsung you could simply use a 2.5 USB 3 external drive enclosure and put in your own SSD. FirmTek sells one for $40 that has soeeds up to 440MBps. This would likely be a much cheaper option, especially for the larger capacities. For example, a 1TB version could be put together for $440. Really neat. I want one. Or ten. However, SSD stands for solid state drive. "SSD Drive" therefore means "solid state drive drive"